Our range of products include pemetrexed injection, tygacil injection, vinbiastine injections, arabinoside injection, pemetrexed 500 and ixempra injections. 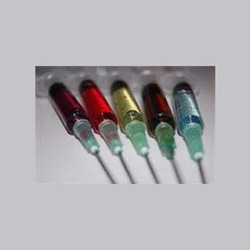 Leveraging our rich industry expertise, we have come up with Pemetrexed Injection for our valuable customers. This solution is formulated in strict compliance with the established FDA standards and provides effective results to the patients. 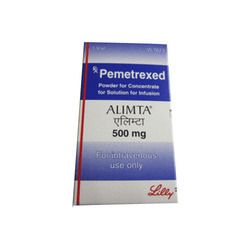 It is widely used in the treatment of non-small lung cancer and is characterized by accurate composition. We are among the industry veterans, engaged in offering Tygacil Injection for our revered customers. The offered medication belongs to the class of tetracyclines drugs and is known to have strong antibacterial properties. The solution is formulation in strict compliance with the industry standards using high-grade inputs and sophisticated technology. 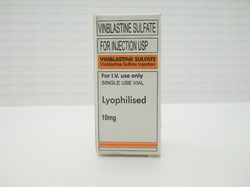 We are among the prominent names in the industry, making available Vinbiastine Injections for our treasured customers. It is highly effective against Hodgkin’s disease and is made available by us in several compositions. Formulated using quality inputs, it provides quick and effective results to the patients. Customers can avail this in vial packaging. We are among the pioneers in the industry, engaged in offering Arabinoside Injection for our valuable customers. The offered solution is formulated under the close supervision of experts with the aid of premium quality inputs and sophisticated technology. This solution is made available in several compositions to fulfill the diverse requirements of the customers. We are among the noted names in the industry, engaged in offering Pemetrexed 500 (Pemetrexed Injection) to our priceless customers. The offered solution is formulated under the close supervision of experts with the aid of premium quality inputs and sophisticated technology. It is intravenously administered and is regarded for its high effectiveness. 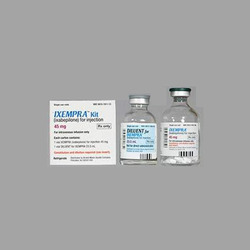 Offering a wide range of Ixempra Injections is an anti-cancer chemotherapy drug. Ixempra is classified as an antimicrotubule agent or an epothilone Banalog. 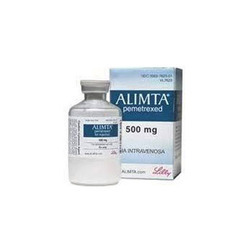 Ixempra is used in the treatment of metastatic or locally-advanced breast cancer. 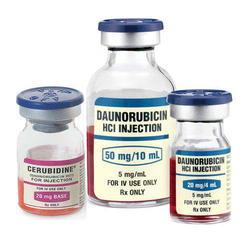 Backed by our vast industry experience, we have brought forward Daunorubicin Injection for our treasured customers. The offered solution is used in the treatment of non lymphocytic leukemia and is widely recommended by doctors because of its effectiveness. It is formulated using premium quality inputs and sophisticated technology by medical experts. Looking for Alimta injection ?